With hyper-nationalism dominating the national narrative since the Balakot airstrike a month ago, other significant issues affecting the livelihood of millions had been pushed into the background. 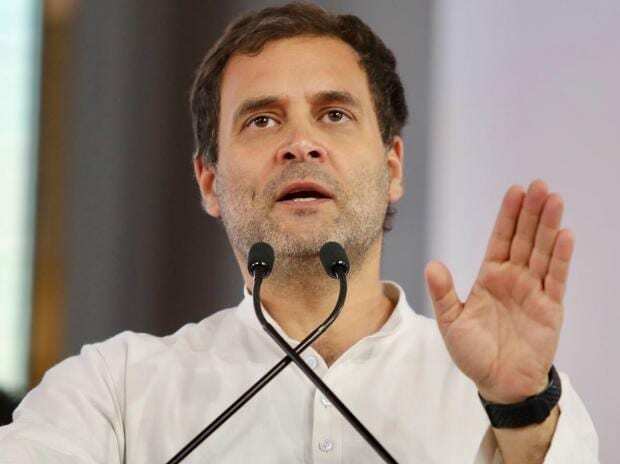 Congress President Rahul Gandhi’s (pictured) announcement of ensuring a minimum income of Rs 6,000 per month to 20 per cent of the poorest of poor households on Monday has refreshingly shifted the national debate back to those issues. Amelioration of poverty would now dominate the narrative without compromising the imperatives of national security. Not surprisingly, a rattled Union Finance Minister Arun Jaitley, sensing a possible electoral gain for the Congress in the ensuing Lok Sabha election, was quick to accuse the Congress of “bluffing” the people citing a galaxy of statistics to prove his point. If Rahul Gandhi’s promise is indeed a “bluff”, what does Jaitley have to say about his party’s promise of bringing back black money stashed abroad and to distribute Rs 15 lakh to each household in the country? Similarly, how about the tall promises of providing two crore jobs a year? Weren’t these promises also election time jumla? Those sitting in glass housees should not throw stones at others. The Congress, on its part, must come out with details of its scheme in the days to come for an informed national debate. It would be premature to rubbish the scheme outright.